Click the logo to the left for more information. 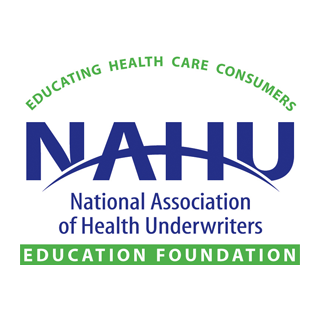 The RHU designation is the undisputed professional credential for persons involved in the sale and service of disability income and health insurance. Individuals earning the RHU designation demonstrate a high level of knowledge about the principles and practices governing the disability income and health insurance business. Please click here to go to the American College's page. The REBC program focuses on providing the student with the knowledge necessary to become a professional in the sale and service of employee benefits plans. Individuals earning the REBC designation develop an understanding of the various types of group benefits and retirement plans, and the practical knowledge needed for choosing and/or designing the best benefits package that will meet the client's needs. You can now receive a personalized NAHU press release congratulating you for achieving this designation. The press release includes your name and company, and describes the value of an REBC designation. This press release is designed to be sent to your local media. If you have earned this designation and would like a NAHU release with your name on it, call the education department at (703) 276-3826 or send an e-mail.